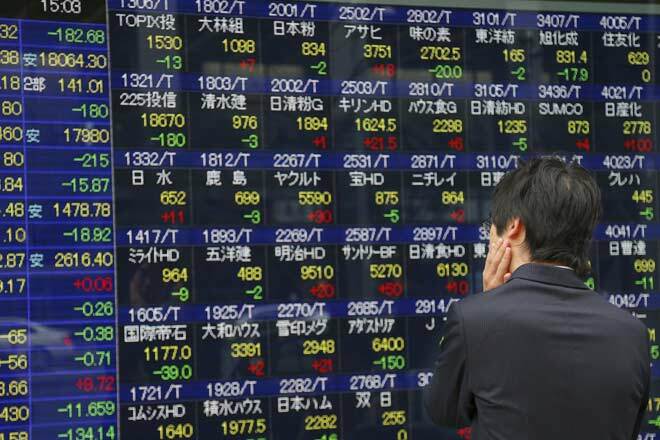 TOKYO, Aug 31 2018 : Asian shares came under renewed pressure today after reports U.S. President Donald Trump was preparing to step up a trade war with Beijing and ready to impose more tariffs on Chinese imports. Many emerging market currencies were also frail after Argentina’s peso sank yesterday despite the central bank’s interest rate hike. MSCI’s broadest index of Asia-Pacific shares outside Japan dropped 0.2 percent in early trade while Japan’s Nikkei .N225 dropped 0.8 percent. U.S. S&P500 e-mini futures ESc1 fell 0.17 percent. Yesterday, the S&P 500 .SPX lost 0.44 percent from Wednesday’s record close of 2,914. Pouring cold water on the rally in global shares, which started in the middle of the month, were hostile comments from Trump on trade. The cautious mood helped lift the yen, which rose 0.6 percent yesterday, its biggest daily rise in about six weeks. In today’s early trade, it changed hands at 111.04 per dollar JPY=. Emerging market currencies had less luck. Argentina’s central bank at an emergency meeting yesterday voted unanimously to raise its benchmark rate to 60 percent from 45 percent, however, the unexpected move failed to stabilize the peso. The lira TRYTOM=D3 stood at 6.740 per dollar in today’s early trade, having fallen 11 percent so far this week.